Want some live Cox action right before your very eyes? Then do we have some great news for you. 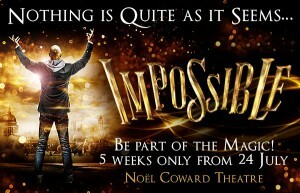 Chris is starring in the brand new West End show IMPOSSIBLE. 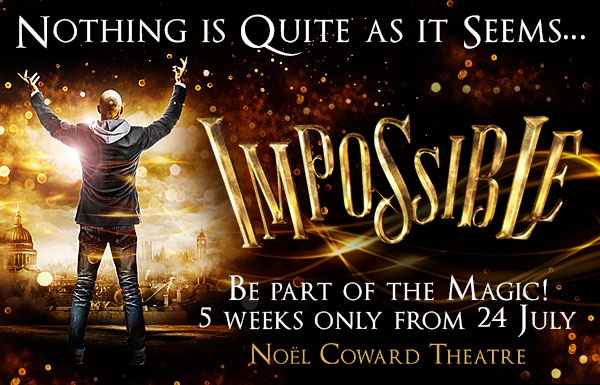 It’s running for five weeks only from the 24th July at the Noel Coward Theatre in London’s glittering West End. Find out more at our Impossible page. If you’re coming be sure to tweet Chris and let him know he’s @bigcox. Internet legends Dan & Phil get their minds read and then their minds blown in this amazing trick from Chris Cox on BBC Three’s Killer Magic. Ever wanted to read minds like Chris? Well now you can! Chris teaches you how to read the minds of your friends and blow them away.